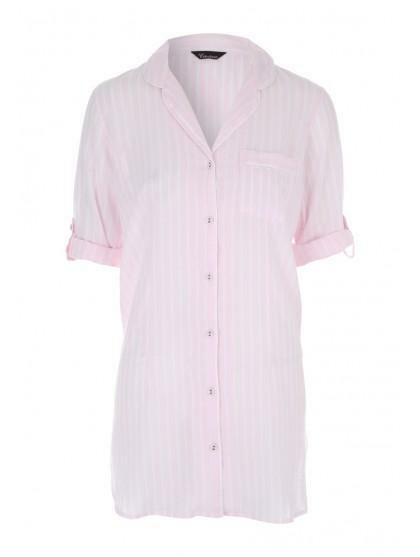 Make a super comfy addition to your collection of nightwear essentials with this women's pale pink boyfriend nightshirt. 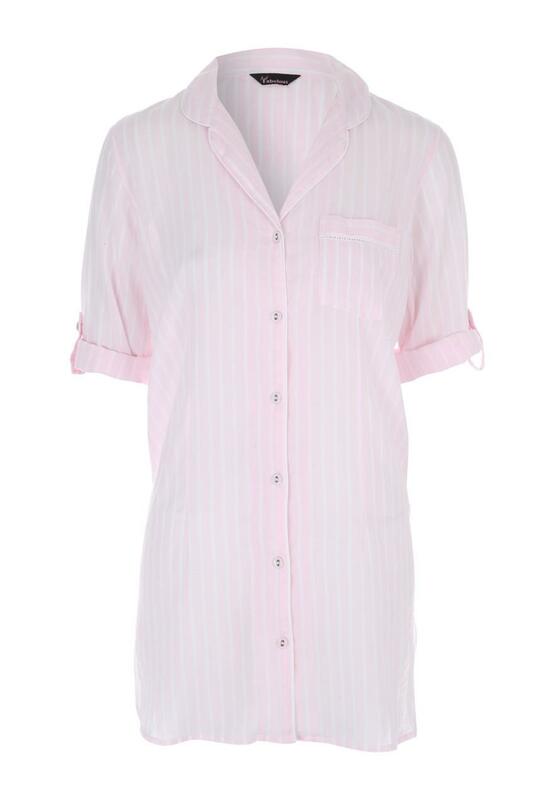 With optional length sleeves and an oversized fit, this shirt is the perfect pick for a good night's sleep. Little shorter than expected. I purchased a bigger size for a looser/longer fit, but they come to the very top of my thighs at the sides. See through - who needs a see through nightie?